Aiming to foster innovation within the ICT sectors, the Cambodia ICT Awards 2016 aims to provide more opportunities to aspiring innovators and encourage participants in creating new concepts for students and institutions alike. This year, BookMeBus is joining the Cambodia ICT Awards 2016 with hopes that our efforts are recognized. Cambodia ICT Awards 2016: Where does BookMeBus fit in? The ICT Awards is a national event that is held yearly. Winners from the Cambodia ICT Awards will then be sent to represent the country in the ASEAN ICT Awards, which will be held in Brunei. Participants are then divided into several categories including Research and Development, Startups, Corporate Social Responsibility, Private and Public Sectors, and Digital Content. Among these categories, BookMeBus is joining the Startups category. This category is open to companies which have been active for less than 3 years. These companies MUST NOT be a subsidiary of any well-established parent company. In addition, the founder must be a major shareholder of the company. BookMeBus is raring to go! 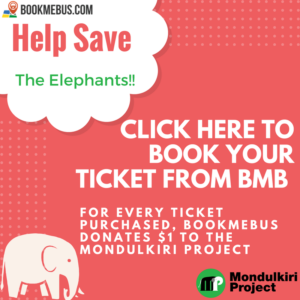 Please join us in supporting BookMeBus in this new adventure! BookMeBus is still relatively young, but it has come far in terms of technology and development. We have created the video below as our official application to the Cambodia ICT Awards 2016. We would appreciate it very much if you could help us share. Results will be announced in June 16, 2016. Stay tuned for more updates.